Two things just happened in SF: fall(ish) weather and the weekend. So that means one thing: shopping! We kinda *freaked* out over the shows last month, especially the epic street style seen around the globe. Paris totally came in for the win with zee best fashion inspo that will keep us inspired throughout the season. Check out a few of our fave looks that are def worth the copy-- imitation is the sincerest form of flattery, right? Nothing screams *fall* more than a trench coat, but this season we're loving the suede versions that we've been seeing around. Don't think you can make this serious outwear investment? Head to our fave cheapies for a good deal. We snagged a pretty amazing lavender one from Forever 21 for under $100. 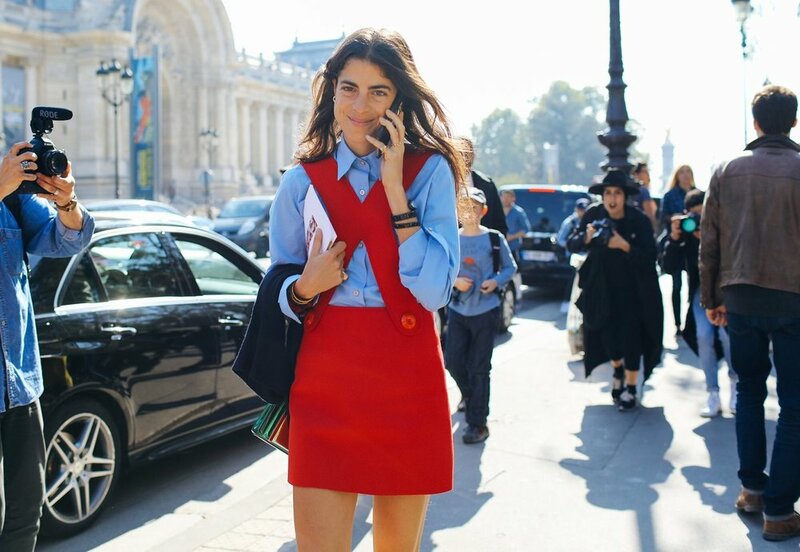 We're all over this look: just your average innocent private school girl with some really fabulous layering skills. Currently on the hunt for the best fall jumper that we can pair with button-ups and long knits. We *literally* can already see ourselves rocking one of these girlie frocks with an shearling epaulette. I mean that's some #OOTD realness. A lil fancy, a lil fun, and a lot of comfy. We're always down for some easy elegance. How cute does Jenny Walton look in this pleated midi? Side Note: what did we tell you about brooches? Other side note: Maybe Jackie has been right about ribbons as neck scarves?